There is a lot of information on Cutting for Business to help you start or grow your Silhouette or Cricut business. I’ve organized the information in two different ways on this page – a category directory and a keyword directory. To use the Category Directory: All posts I’ve written are linked in the category directory. Here are some examples of how to use the category directory: If you are starting a new business, scroll down to “Starting a Business” and get information that’s useful when you just beginning. If you already have your business running, scroll down to “Growing Your Business” for unique ways to grow your business, as well as tips for the more seasoned seller. Similarly, if you are looking for copyright or trademark information or social media tips, scroll down to the appropriate category to find those posts. To use the Keyword Directory: If you aren’t looking for anything in particular and want to browse, scroll down the page to the keyword directory. I’ve added keywords to all posts to help readers find what they are looking for quickly. The larger the text in the keyword directory, the more posts I have written about that topic. Don’t forget: If you are looking for order forms for your small business head to Resource Depot; if you want to see my favorite supplies and resources for running a business visit My Favorite Things. Lastly, if you want to learn about me, Christine, read My Story. FAQ: All Things Silhouette Conference - What the Heck Is It? Are Bible Verses Copyrighted or Trademarked? Can You Legally Make & Sell Peeps Related Products? Is it Worth it for Crafters to Trademark Something? Trademark Issues: Can You Make & Sell Dr. Seuss Themed Products? Why doesn't Etsy Remove Trademark Violations? Can you Create Products for Direct Sales Reps? Are 'Keep Calm' Sayings Trademarked? My Policy is: 'No Social Media Comment Left Behind' - Is Yours? Discounts for Friends and Family in Your Craft Business - Should You Give Them? Font ID: How to Find Out "What Font is This?" 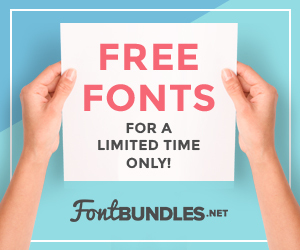 Create Your Own Font in 10 Minutes - for Free! Fonts: OTF versus TTF - What is the difference? What is Teachers Pay Teachers & How Can Your Craft Business Benefit? Are QR Codes Dead in Your Craft Business? Active versus Passive Income - What's the Difference? What is a Ring Spun Cotton Shirt? Should You Cross Promote Other Businesses in Your Craft Business Customers? Silhouette Cameo 3 vs. Cricut Maker - Which One is Best for You? Does Using 3rd Party Accessories Void Your Silhouette or Cricut Warranty? Camel, Camel, Camel - What is it and Why do I love it? Halloween Costume Idea - Silhouette Sketch Pen! Silhouette Cameo versus Cricut Explore - Which One is Best? Silhouette Studio Version 4 + Cricut Explore = A Good Match! Etsy Studio: What Is It? Lost Packages in Your Handmade Business: Who is liable buyers or sellers? Which One to Buy: Food Scale or Postage Scale for Shipping? FAQ: Silhouette Alta - What Is It and What Can It Do? Silhouette Mint Stamping Machine: What's in the box? Silhouette Studio Business Edition - Is it worth it? Silhouette Studio Business Edition - What is it? How much does it cost? Facebook Likes versus Followers: What's the Difference? Credit Card Processing: Should I Charge Fees to Customers Who Pay by Credit Card? Four Types of Paypal Card Readers - What's the Difference? NAICS and SIC Codes - What are they? Why Does Paint Bleed When Using a Vinyl Stencil? Can You Layer Glitter HTV on Glitter HTV? Do You Need a Heat Press in Your Silhouette or Cricut Business? Hobby or a Small Business? - How to Know When to Get "Official"
What are Alibaba, AliExpress, and DHgate? Can Crafters Buy Vinyl Wholesale? What is an EIN Number? Do You Need One? Will you receive a 1099 for your craft business this year?